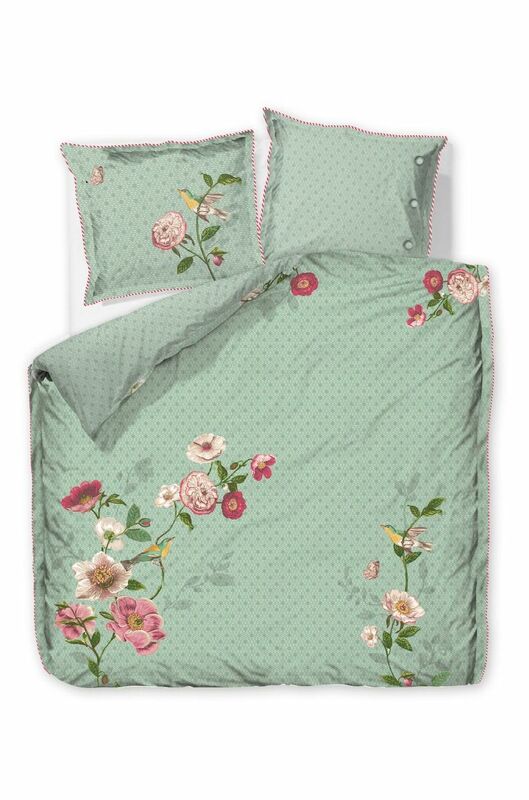 This green duvet cover gives a sophisticated botanical twist to every bedroom. 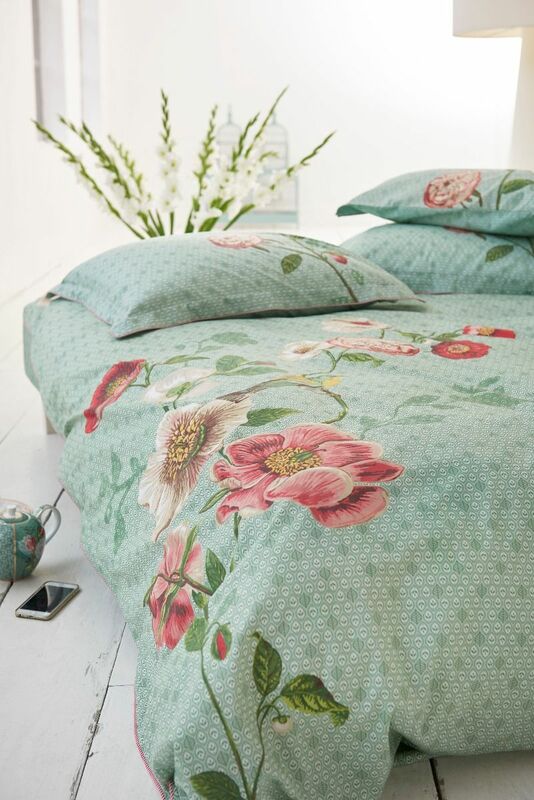 The Pip Poppy pattern shows an ultra-fine repeating pattern of graphic leaves, with an impressive print in hand-painted look of a bird, a butterfly and flowers on it. 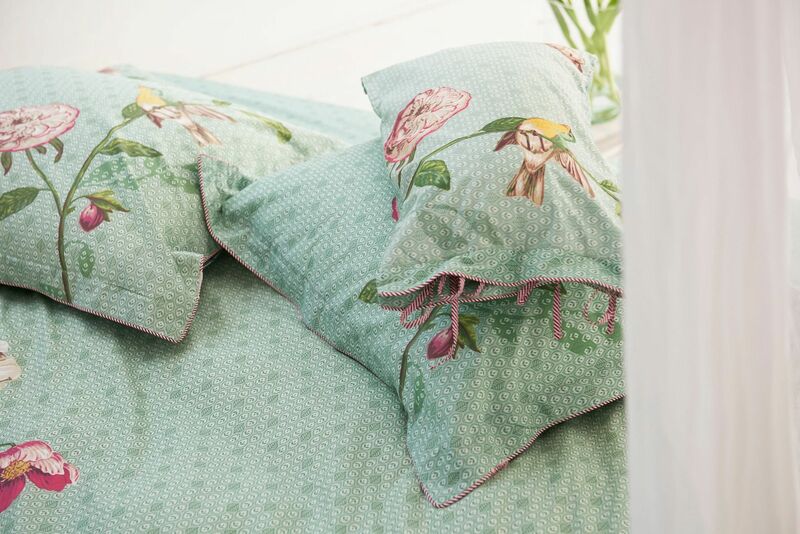 The back brings a calm balance by just showing the ton-sûr-ton green coloured leaves. 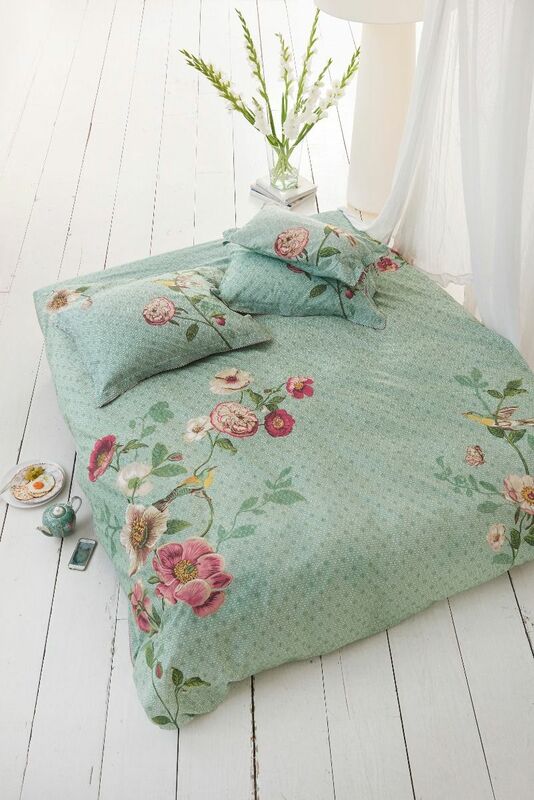 The cover is made of percale cotton, which makes it soft and smooth and easy to maintain. It is also very durable and suitable for any season.